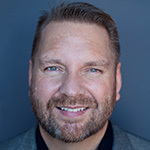 Brent Csutoras – Brent uses a blog as his web site where he writes about social media, search and viral marketing. Honorable mention goes out to Garrett French with his Content Promotion Builds Links blog. It gets mentioned here because topically, it’s right on with TopRank’s philosophy towards content promotion. Unfortunately, posts are not that frequent. Worth checking out though. DailyBlogTips.com is one of my absolute favorite blogs. *Everyone* here can benefit from his content, not just bloggers. There is unbelievable marketing advice in so much of his content. Subscribe…trust me! Thanks for the inclusion Lee, it is certainly an honor. Adam, thanks for the nice words also, it almost looks like I asked you to leave that comment :). 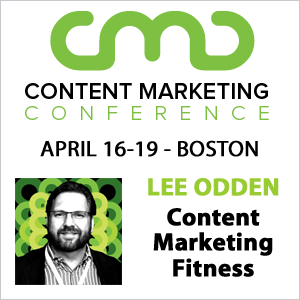 Hi, Lee — thanks for the nod to our post-click marketing blog! LOL, no you didn’t ask me to do that. I just happen to subscribe (and enjoy) both TopRankBlog and DailyBlogTips…so neat to see them interact. Many thanks Lee, much appreciated.